"I scream, you scream, we all scream for Ice Cream." Our Ice Cream Photos on Instagram, since 2015. We came, we eat, we conquered, and here's what we loved. Instagramabilty: If this vintage shop's window seating isn't enough for your insta feed, then head over to the mural right across the street. It's so good that we even made a blog post about this place, and you can see it here. Cone Factor: They have your standard sugar, waffle and cake cones. They're good, but nothing to write home about. 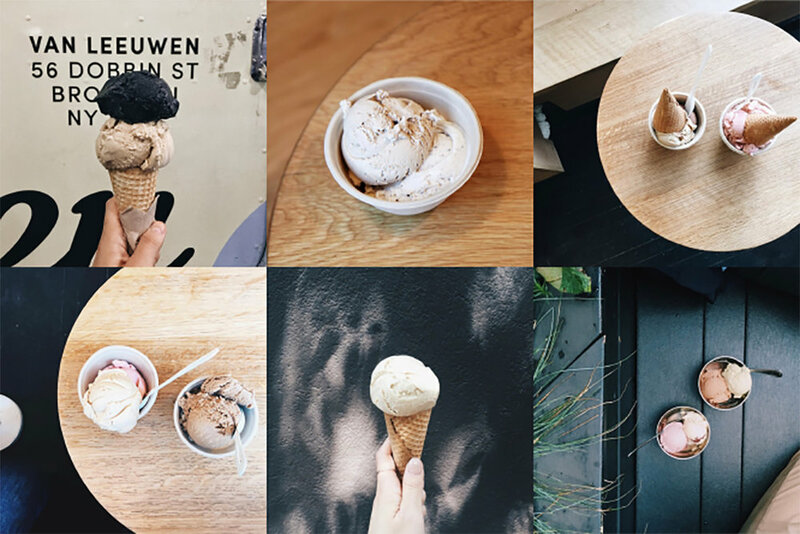 Instagramabilty: Van Leeuwen is a design-forward company that has put in the effort to match the color of their treats to look good against the interior of their stores, and even their ice cream truck. Cone Factor: Their cone selection is just a classic Sugar Cone. But they offer the option to do "Cone-on-top" which is perfect if you prefer your ice cream in a cup. Instagramabilty: It's got an old school look, but not too grammy. Find the nearest pretty wall. Cone Factor: Big cone factor! 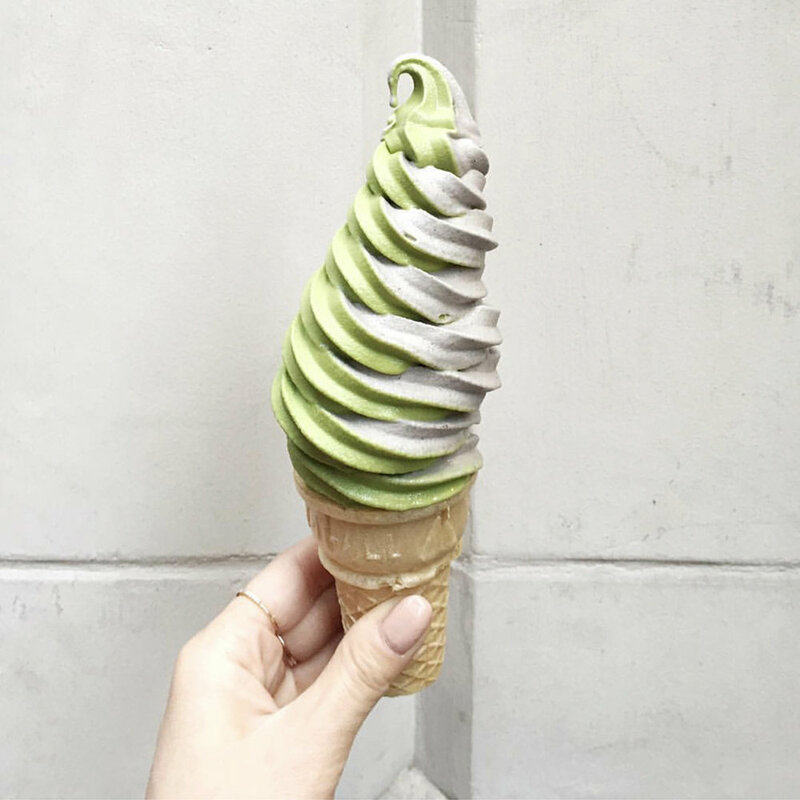 Their cones alone are photo-worthy with the taste to back it up. Our fave is the Fruity Pebbles cone. But, they have so many other options that we have yet to try. 4. Odd Fellows Ice Cream Co.
Bobo's Favorite Flavor: I pass because each location is constantly changing flavors daily. Instagramabilty: Vintage, yet vibrant. Imagine if your local diner was also a circus. 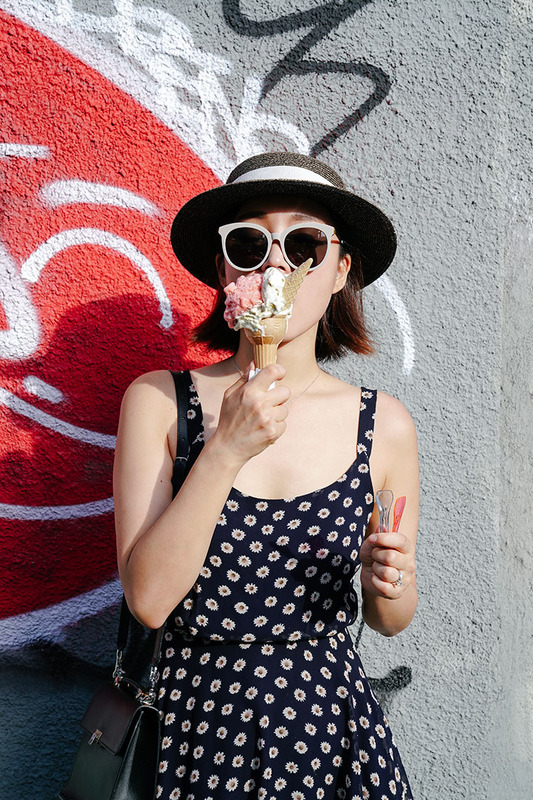 Perfect opportunity to take fun photos with ice cream in your hand. Cone Factor: Get the waffle cone when its fresh off the press. Instagramabilty: Instagrammable when your server is a pro at making the tall swirl. Cone Factor: No option other than your regular cake cone. We go there for the soft serve, not the cone. Cafe Zaiya (Midtown) *Only Midtown location serves Soft Serve. Instagramabilty: It's Brooklyn! Find a mural before your gelato melts down your hand. Cone Factor: Authentic Italian ice cream cones from Babbi. They also have miniature "Cone-on-top" for those who need more cone in their lives.